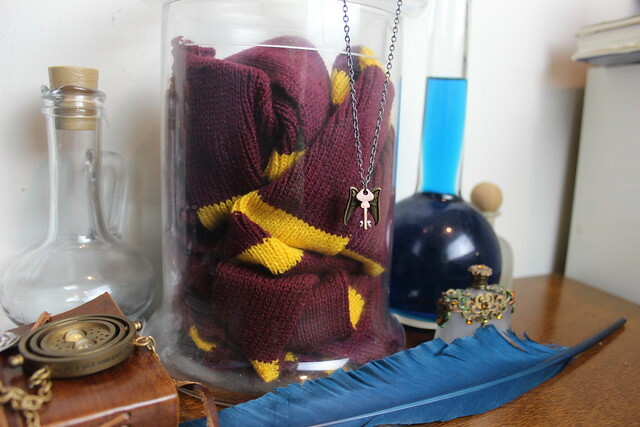 Remember when I made those awesome Harry Potter inspired winged key necklaces? Well after I listed one on my Etsy shop it ended up being the first thing I sold. 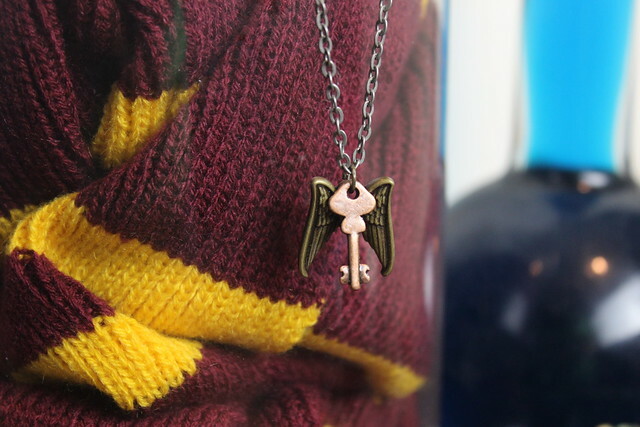 This weekend I was organizing my Etsy box (where I keep my Nerdy Monsters and hair bows that are for sale in my shop) and there it was; another winged key necklace. Since I have this goal of listing a new product every month in my shop (and I made this goal before knowing I would also be planning my wedding at the same time) I thought it would be okay to consider this necklace a 'new product' since it's been unavailable for so long. The exact listing is here, but remember, this is the last one I have. If it get's bought quickly, I might make more but it's not in my intimidate shop plans. Thank you for supporting Nerdy Monsters! It's a such a fun hobby that maybe one day could be more. Thank you for helping me towards that goal.